Clella Joyce McBride Layton, 97, passed away Dec. 8, 2018. 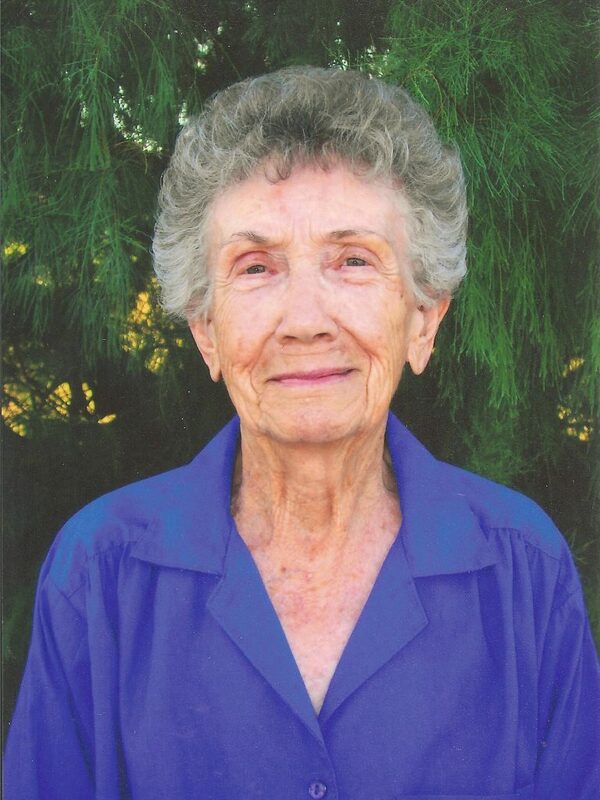 She was born Aug. 8, 1921, the fifth child of Ether and Bertha A. Carter McBride in Glenbar, Arizona. As a child she learned to work hard in a family of 10 children during the Depression. As a young woman during World War II she was a telephone operator. She married Max Claridge Layton Jan. 5, 1946, soon after he returned from the war. They settled in Tempe, Arizona, where they milked a small dairy herd. In 1949, the opportunity came to buy a cattle ranch on the Arizona Strip. They moved to Mud Springs, 50 miles of rough dirt road from town. There she helped Max build a successful cattle operation from a desert wilderness. When the kids were old enough to go to school, they moved to St. George, Utah, and continued to ranch. In 1971 they moved to Beaver Dam, Arizona, and established a farm and feedlot operation. Joyce gave much service to her family and grandkids. She was a good cook and for many years she prepared lunches and food for those going to work at the ranch. She was thrifty and organized and had a great sense of humor. She would get so tickled to tell a funny story and loved to tell stories about growing up in Glenbar and living out at the ranch. She was preceded in death by her husband Max, her parents, brothers Von, Boyce and Ted, sisters Flora John, Elouise Sudekum and Evelyn Jo Hancock. She is survived by sisters Lue McEwen (107), Pima, Arizona, Lela Watkins (100) Phoenix, Arizona, and youngest brother Keith McBride (89) Pima, Arizona; son Steve (LaRene) Layton of Beaver Dam, daughters Leslie Layton of St. George, and Jill (John) Romney of Southlake, Texas; grandchildren Rokelle (Justin) Reeve, Kolter Layton, Lanie (Francesco) Bellisari, Ellie Dakin, John (Debbie) Dakin, Kim (West) Liguori, Jennifer (Art) Moore, Katie (Mitchell) Ryan, Christopher (Alexis) Romney, Jason (Heather) Romney, and Julie Romney; and 19 great-grandchildren. The family would like to thank Ethel Cooke for her time helping Mom at home. They would also like to thank the staff at Coral Canyon Beehive home with all they did to assist her in the last seven months. A funeral service will be held Friday, Dec. 14, at 11 a.m. in the Littlefield Ward Chapel, 3260 E. Old Highway 91, Littlefield, Arizona. There will be a viewing Friday prior to services from 9:30-10:30 a.m. at the church. Interment will take place in the Littlefield Cemetery.